We are dealing in many kind of ground spices like cumin powder, Coriander Powder, Chilli Powder, Turmeric powder with small and bulk packing. The Cumin Powder offered by us is prepared from chosen batches of Cumin seeds of plants grown under optimum conditions. Finely processed and cleaned, the Cumin Powder made available by us is an excellent addition to a variety of dishes. 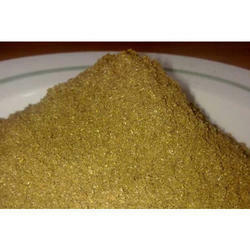 Besides, we offer different varieties of Cumin Powder sourced from trusted manufacturers. Prior to packaging the product will be inspected and passed through magnets and metal detectors to remove ferrous metallic contamination. Product will be treated to control microbial levels. 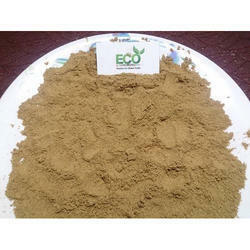 Eco Export is supplier engaged in offering the superior quality Coriander Powder. The offered powder is finely processed using the optimal grade dried coriander and sophisticated technology under the strict vigilance of our adept professionals. Due to its delectable taste and unadulterated content, our provided powder is broadly used for preparing diverse dishes. To gain maximum satisfaction from our patrons, the offered powder is available in moisture proof packaging options to retain its durability. Coriander Powder is very common in Indian cooking because of its distinguishing aroma and flavor. Our Coriander Powder is pure and hygienic and also nutritious in nature. Coriander powder is widely used in south Indian preparations, especially rasam, kara kuzhambu, vegetable preparations, etc. 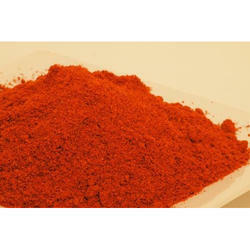 Eco Export is suppliers of a qualitative range of Chili Powder. The offered powder is processed using high grade ingredients and sophisticated technology under the supervision of our skilled team of professionals. Our offered range is highly demanded by clients spanning across the nation due to its rich pungent flavor, great taste, purity and longer shelf life. In order to meet the diverse needs of clients, these are hygienically packaged in different packaging options as per the varied requirements of clients. Chili Powder, the tasty blend of spices, is one of the easiest ways to bring a dish to life. 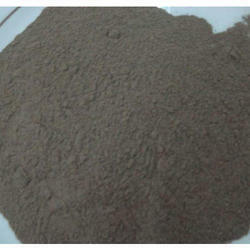 This powder is used extensively as an additive in curries and other dishes. It is also used as a rub for steak, fish and chicken before broiling, baking, or grilling. A yummy spicy hamburger is also prepared by including a tablespoon of the powder in the raw meat and kneading it into the meat before forming the hamburger patties. Either purchase ready-made or to prepare at home, chili powder can add a lot of taste to many mouth watering dishes. Eco Export has marked a dynamic and distinct place in the market by offering an optimal quality assortment of Black Pepper Powder that is musty in flavor, highly aromatic and tasty. Our provided product is broadly used by our patrons in numerous culinary dishes and spices. This product is moisture free, hygienic and very useful for health. Besides this, presented powder is obtainable in optimal packing options as per the necessities of our patrons. The fruit, known as a peppercorn when dried, is approximately 5 millimetres (0.20 in) in diameter, dark red when fully mature, and, like all drupes, contains a single seed. Black pepper is the world’s most traded spice. It is one of the most common spices added to European cuisine and its descendants. Black pepper is one of the most commonly used spices andreadily available at the dinner table. As a seasoning it lends the requiredamount of spicy heat to a bland dish and also possess medicinal properties. It is an important ingredient in grandmas home tips and has been successful intreating many ailments. Black pepper isavailable both in the powdered and corn forms. Looking for Ground Spice ?